How would you describe Brainhack to someone who was not there? 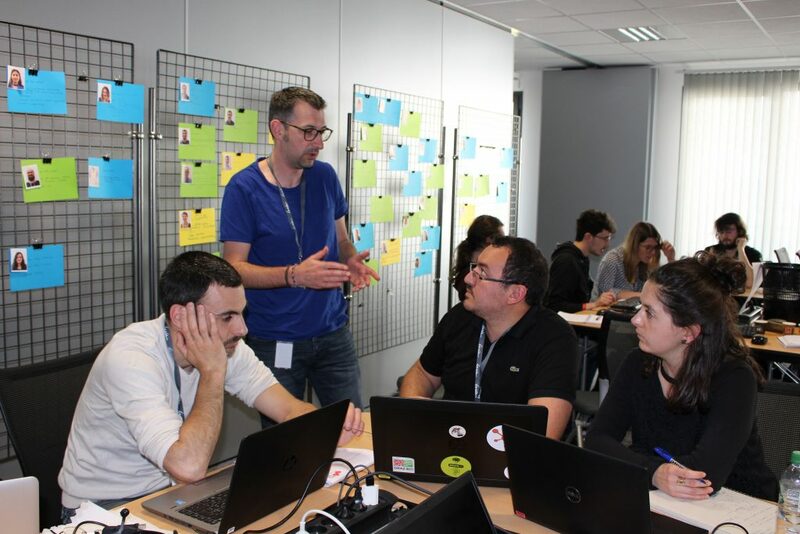 Why did you decide to participate in Brainhack Rennes? What is the most interesting thing you have learned/accomplished during Brainhack Rennes? How are you planning to continue engaging with the Brainhack community? Is there anything you else you’d like to add? 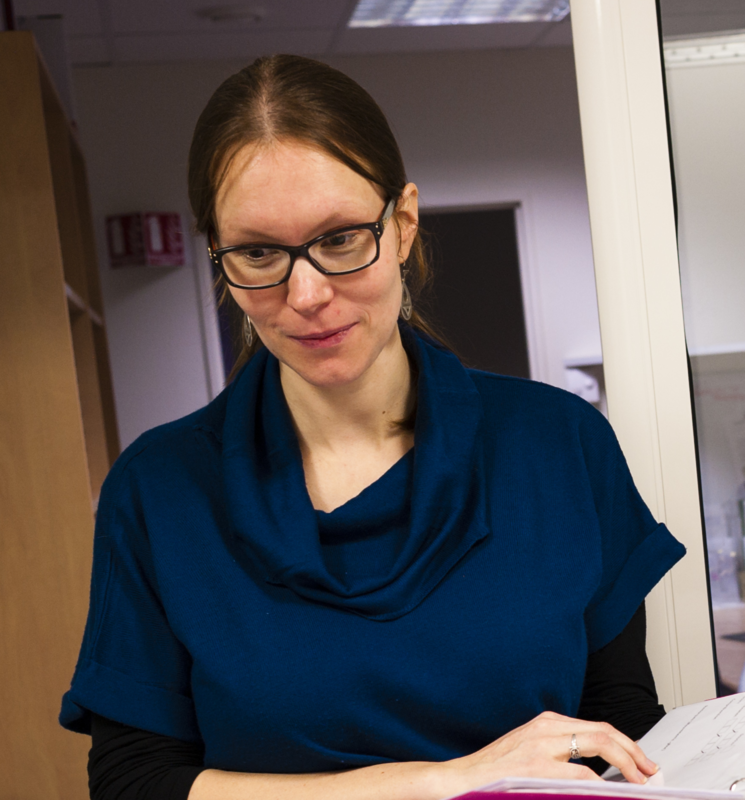 Elise Bannier is research engineer in MR Physics at the University Hospital of Rennes. She works on the Neurinfo platform where she sets up and coordinates MRI research studies. Elise’s interests include MR sequence optimisation in general, and in the context of brainhack in particular BOLD fMRI acquisition and image processing. Elise participated in Brainhack Global Rennes with a project bringing in an open discussion on fMRI processing tools and methods. I interviewed Élise to learn more about her experience at Brainhack Global Rennes 2018. A Brainhack is structured and informal at the same time, both technical and social. At Brainhack Rennes, the program was organised with fixed periods of hacking, unconferences and more formal conferences. During the hacking periods, our time was pretty much free and people would discover new programming languages (e.g. Python for fMRI processing), tools (e.g. TensorFlow for machine learning, Snakemake and SPARQL for metadata analysis), perform experiments to gather data on relaxed healthy volunteers (EEG Neurofeeback) or have discussions, e.g. on the use of BIDS, reproducible research, how to share data, code and papers (Episciences, HAL, Zenodo, Software heritage), etc. I saw this event as an opportunity to leave my daily routine for a couple of days, dig into some topics I never take the time to address, discuss and learn new practices or methods, confront them with mine. During Brainhack I focussed on the projects dealing with fMRI data processing, installing a Python environment, talking about methods and processing routines. During Brainhack, I had the chance to exchange with Romain V on BOLD fMRI processing and data management. I knew about these tools but had never used them myself. In particular, Romain showed us how he would separately load the data before processing, in a more flexible fashion than what we have in our local pipeline engine automri. I also explored the BIDS format, the compatibility with Shanoir and learned about the available tools from Poldrack et al to perform data quality check (mriqc), fmri preprocessing (fmriprep), or other tools to filter outliers in the data (Artrepair), confront and better discuss our results (Neurovault,Brainspell, Neurosynth, mriview) etc. I will definitely continue engaging! Specifically, I would like to advertise coming events to the REMI, the French network in MRI physics clinical research for multicenter mutual aid of which I am part of the board. I think this kind of event could be very interesting in that community. We organise REMI meetings twice a year in which we discuss and exchange practices on several topics: scanner quality assurance and data quality control, good clinical practices and regulations, sequences, preprocessing. I am thinking that we could potentially add a hackathon component to these meetings. I was wondering whether it could be interesting to suggest mentoring/follow-up on projects (fast track sort of thing with/without financial support/students) in order to allow the project to continue after brainhack and until the next brainhack. A big thanks to the organizers. Join the Brainhack community! Brainhack hackathons are organised all year round in many places around the globe. Register on the Brainhack slack to join a diverse and welcoming community and discuss open science practices in neuroimaging. This post by Camille Maumet is licensed under a Creative Commons Attribution 4.0 International License. Image Credits: Inserm/Latron, Patrice (portrait) and Inria/Crenn, Alain (group photo). Interview: Let’s organise a Brainhack!